Today marked the first full day of training for the Safwa. Bill and I continued teaching the church planting material. We reviewed the person of peace material and identified 5 roles of the church. During this training we received a report regarding the progress of the Safwa church planting efforts. 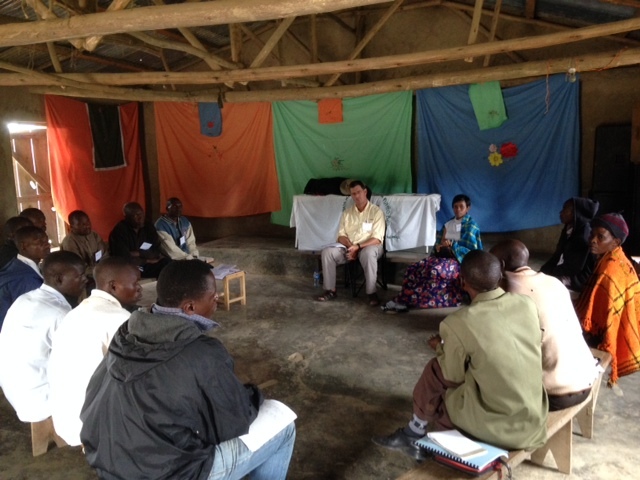 We heard about the successes and struggles of local congregations in the Usangu area. There was a good report from a church in the Taturu area. The most encouraging report was from a church in the Bungu area. This church has struggled for the past 10 years. It now has some strong leadership and has grown to around 80 people. Churches in other areas of Tanzania have heard about the work of the Safwa. Some of them have requested Safwa teams to come and teach their congregations how to do Bible story evangelism and church planting techniques. Please pray that the Lord will continue to bless these efforts and that He would provide the funds for the new opportunities. Gil and Carmen’s team provided training for teaching the kids. 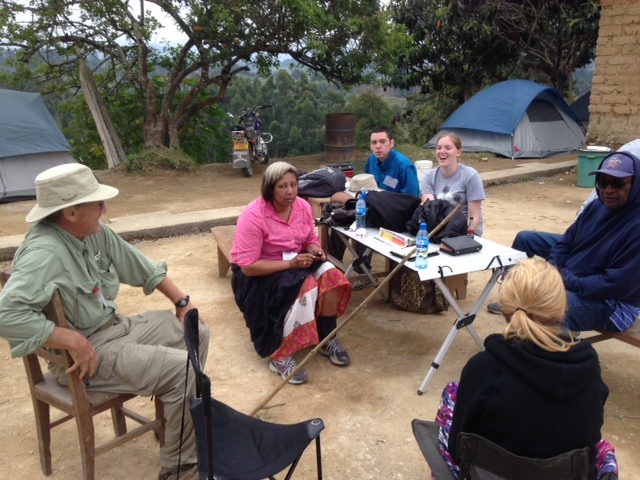 After lunch Terry, Carmen, Melinda, Joseph, and Brianna walked to a local primary school for a visit. This is the point where Carmen went “beyond.” According to Carmen she walked uphill both ways to the school. The 45-minute walk was near vertical at points. It was at this point she admitted that she hated Joseph and Brianna for being young. She hated Bill for telling her to go. She hated Gil because he could not go. Upon return to the camp she underwent post-excursion counseling while she picked grass burrs out of her skirt. She took a nap and is fine now, but she has earned the nickname “Evil Eye” for the look she has in the picture above. Bill is known as 1 1/2 times. Use this multiplier to any time estimate Bill gives you. Brianna is now known as Pigtails. This is up for a new nickname because she updated her passport photo. Praying for extra strength and endurance for each of you.